In 2009, the Internal Revenue Service issued the Construction Industry Audit Technique Guide (ATG) for use by IRS agents and for contractors. The contractor’s audit guide explains the processes and methods the IRS uses to examine a contractor. The end goal is to verify actual taxable income over an assigned tax year for a contractor. The IRS recognizes that this industry is complex and utilizes multiple methods to establish revenue and net profits. It is so complex, the guide is 257 pages long. This article introduces the guide and its major sections and how to understand what areas are applicable to your construction company. If you need greater guidance, contact me through the ‘My Services’ page in the footer section below. The guide first explains what is a contract and how they tie to the Code, specifically Code Section 460. Then the guide further identify the differences between small contractors and large contractors. While explaining the two sizes, the guide delves into various methods of accounting used by contractors. Finally, the guide identifies the tools used to convert GAAP based accounting (financial in nature) to tax accounting. The following sections explain these areas of the guide in more detail. Supplementary articles explain specifics in extended detail and teach you what to expect in an audit related to the respective area, subject matter, of the audit. Throughout this article are links in blue that connect you to an article I’ve written about that respective subject. If you are unaware or desire more detail, please click on the link and read further. The contract identifies the frequency of payment. These two factors are critical in an audit, specifically with identifying revenue related to construction work performed during the period under audit. In addition, the contract’s terms will also address not only frequency of payment, but if there is retainage involved when invoices are paid. Some contracts even identify if the contractor is allowed to retain monies from subcontractor payments. Another aspect of construction contracts is their time based duration, i.e. short or long-term contracts. The IRS defines a short-term contract as any contract started and finished within the tax year. Unlike the business definition of a short-term contract (less than one year), which can span over two tax years, the IRS limits the term to those contracts completed within that tax year. So there may exist short-term contracts on the books for the contractor that are redefined as long-term in the eyes of the IRS. Fixed Price or Lump Sum – An agreed price contract with some possibility of adjustment for economic or unforeseen costs. Cost-Plus Contracts – The owner agrees to pay the contractor the cost of materials, labor, subcontracting and other costs plus a fee, customarily a management fee. The fees may be fixed and prorated over the life of the contract or percentage based on the actual costs incurred. With this type of contract, the general contractor may pay the costs or pass the costs to the owner for payment. Time and Materials – The owner pays for the actual cost of materials plus a pre-agreed amount per hour for labor. The amount per hour of labor has the contractor’s profit and overhead included. Unit Price or Phase Price – This type of contract is an agreed amount per stage of completion or unit completed. This type of contract is rare. Change Orders – A modification to a contract is considered a change order; it may increase or decrease the value of the contract. The key for the investigative agent is to determine the total value of the contract and how the contractor is paid. This information sets the stage for calculating the revenue earned by the contractor. Notice above that the IRS defines a short-term contract as any contract started and completed within the tax year under audit. This means that all other contracts are long-term. This is important, because Section 460 of the Internal Revenue Code is applicable to long-term contracts. Section 460 forces the contractor to use the percentage of completion method of accounting to record revenue and associated costs. There is one exception to this requirement. Only small contractors are exempt from using the percentage of completion method, i.e. they may elect to use the completed contract method. What is a small contractor? There are three requirements to meet the definition of a small contractor for a residential contractor. Total average revenue must be less than $10,000,000 (10 million dollars) per year over the last three calendar years. If the contractor is performing any commercial work, then to meet the definition of a small contractor, the company must meet items two and three above. 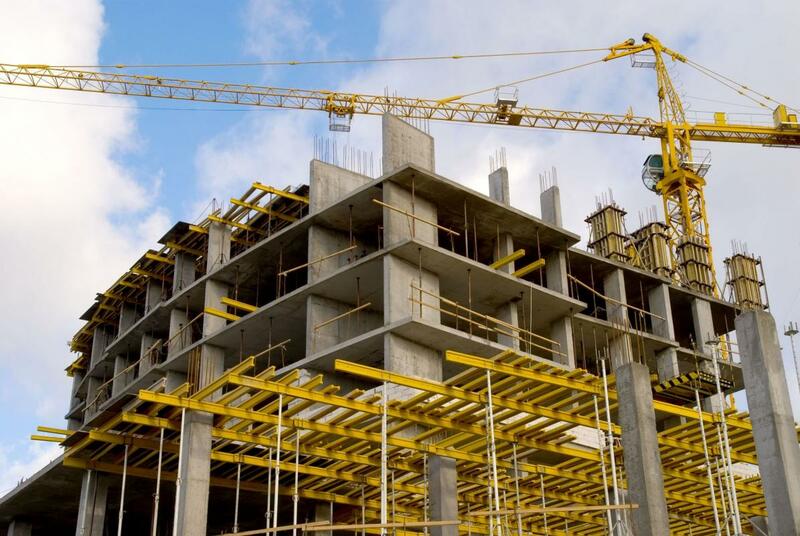 Unlike residential contractors where it is all or nothing, commercial contractors can elect a different method of accounting per project based on the criteria as stipulated above. So why is all of this so important? Many contractors within the United States fall within this definition of a small contractor. Therefore, they may elect to use another method of accounting other than percentage of completion to account for their respective revenues and corresponding costs. But in terms of taxable income, i.e. profits; the large contractors are the group of businesses the IRS targets, thus this guide. This is the group where a significant change with taxable income causes additional tax liability by the contractor. Without using the percentage of completion method, contractors can defer taxable income for several years. They can purposely load costs from one project that will be completed in the future as a taxable expense in the current period thus reducing their respective tax obligation. Therefore, having contractors defined as large, accelerates tax liabilities into the current taxable year. With this in mind, it is best now to explain the basic accounting methods used by contractors. The Internal Revenue Service recognizes ten different methods of accounting for use by contractors. They are divided into two major groups of completed contract and percentage of completion. There are multiple articles on this website explaining these two major groups of accounting. For the purpose of this article, I will delve into the different percentage of completion methods. In general, there are four percentage of completion methods most commonly used by large contractors. The contractor recognizes $232,217 of his projected $280,000. Although this appears simple at first, it does get complicated when there are cost overruns and change orders etc. The purpose here is to introduce this model. Another article in this series goes much more in depth in explanation and illustration. For now, you can see the main point of the cost-to-cost form of the percentage of completion method of accounting. All subcontracting costs are identifiable to either materials or labor and included in the formula. This method simplifies the accounting and formula to determine actual taxable income for the contractor. This method is better suited towards contractors with an undeveloped accounting department. Due to the costs of professional help in accounting, this method is best for contractors with revenues of $10M to $40M per year. Those larger contractors that generate revenues of more than $40 Million per year can afford the professional level of sophistication necessary to use one of the other three forms of the percentage of completion method. See the article in this series for more details about this form of accounting. The third of the four primary percentage of completion methods is the 10% model. Under this model, the contractor will not recognize any revenue or costs until the contract is at least 10% complete. Although this appears simple, it is much more complicated than the cost to cost form above. There is another article on this site in this series that goes into detail about this respective construction accounting method. The fourth method of accounting under the percentage of completion method is the capitalized cost method. This method is only available to residential contractors that build apartment complexes, retirement dwelling units and town homes with five or more units. The core requirement is that the contract is for five or more units on a single lot or development plan. This form of accounting allows the contractor to combine the percentage of completion method with the completed contract method in 70/30 ratio respectively. It too is rather complicated. The leeway granted under the Code is based under the assumption that often not all the dwelling units are sold when the project is complete, thus the ratio allocation exists between the two methods. There is another article on this site that goes into extreme detail and is designed for accountants and CPA’s. The Financial Accounting Standards Board or as known to accountants as FASB advocates for the percentage of completion method over the completed contract method for accounting for contracts. The Internal Revenue Code follows suite by requiring the percentage of completion method for large contractors. The standards as promulgated by FASB are designed for very large contractors, specifically those that are publicly traded and those needing financial audits for bonding/lending purposes. The IRS simply expanded this group to include contractors with revenues down to $10 Million per year. Costs and estimated earnings is a current asset whereas billings in excess is a current liability. Yes, there can be a difference between GAAP values and tax values. In some cases, there are revenue recognition requirements affecting the billings in excess account for tax purposes. On the flip side, there may be timing differences related to depreciation, amortization and cost recovery formulas thus affecting the costs in excess account. On the tax return, schedules M-1 and M-3 identify the differences. The guide is intended to educate auditors about the construction industry and the various methods of accounting used by contractors. The guide keys in on two significant business principles. The first is the contract itself. The contract establishes how much is paid for the work and the corresponding frequency of payment. The second principle relates the various methods of accounting. In general, a contractor must use the percentage of completion method. However, there are four different forms of the percentage of completion with accounting. This article is an introduction to the guide for the contractor. For those of you interested in reading the entire guide, you may open it here in another screen: Contractor’s Audit Guide. Unless you have a formal education in accounting, it is unlikely you will find the reading interesting or helpful. I encourage you to talk with your CPA or you may contact me and I’ll point you in the right direction, dave@businessecon.org. ACT ON KNOWLEDGE.